Getting your child the right dentist can be tough or nearly impossible. The team at Plaza Dental Group knows the importance of finding excellent oral health care services for your children. That's why the experts at their Ventura, California, office are committed to providing high-quality pediatric dental care for child patients. They make visits for routine dental work comfortable, and even fun and engaging. If you’re looking for a pediatric dentist for your child, call Plaza Dental Group, or book an appointment online today. The skilled team of dentists at Plaza Dental Group put the unique needs of your child first when it comes to their oral health care. Didn’t think hassle-free dental care was possible for your child? 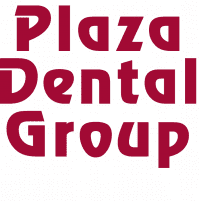 Try Plaza Dental Group, and experience the difference. Your child may fear the dentist or struggle to sit still in the chair, but Plaza Dental Group’s dentists specialize in pediatric dentistry. They can take care of any child’s dental health concerns and help them overcome behavioral issues or dental anxiety with disarming techniques, such as games, handing out prizes, and in-office entertainment. When should my kids visit the dentist for the first time? If you want your children to have healthy dental care for their entire lives, you should start bringing them to the dentist as soon as possible. The American Academy of Pediatrics and the American Dental Association both recommend children get a dental checkup once their first tooth comes in or after their first birthday. The team at Plaza Dental Group knows that exceptional oral health starts early. That’s why the dentists at the Ventura, California office go above and beyond to create a friendly atmosphere that makes your child feel safe and comfortable. The toys and TVs in Plaza Dental Group’s waiting room will keep your child entertained before their appointment. The dentists’ warm chairside manner will create an enjoyable, relaxing experience for your child and encourage good dental health as they develop. Is orthodontic care a part of pediatric dentistry? Excellent orthodontic care for your child is a hallmark of pediatric dentistry at Plaza Dental Group. Orthodontics can straighten crooked teeth and improve your bite by correcting a misaligned jaw. Orthodontic concerns need to be addressed during childhood or adolescence to achieve the best results. For the best results, it’s important to see an orthodontist before your child’s face and jaw finish growing. The dentists at Plaza Dental Group provide orthodontic services, too, so you can check that off your list of concerns. They develop specialized treatment plans that cater to the needs and preferences of children. For instance, appliances, such as braces, can be customized to include fun designs and coloring your child will want to show off at school rather than be embarrassed by. Also, your child doesn’t need to miss school for pediatric dental or orthodontic appointments. The practice’s warm, friendly staff can help you book appointments in the early evening after school for added convenience. To start up with a skilled pediatric dentist who can handle all of your child’s dental care needs, call Plaza Dental Group, or schedule an appointment online today.